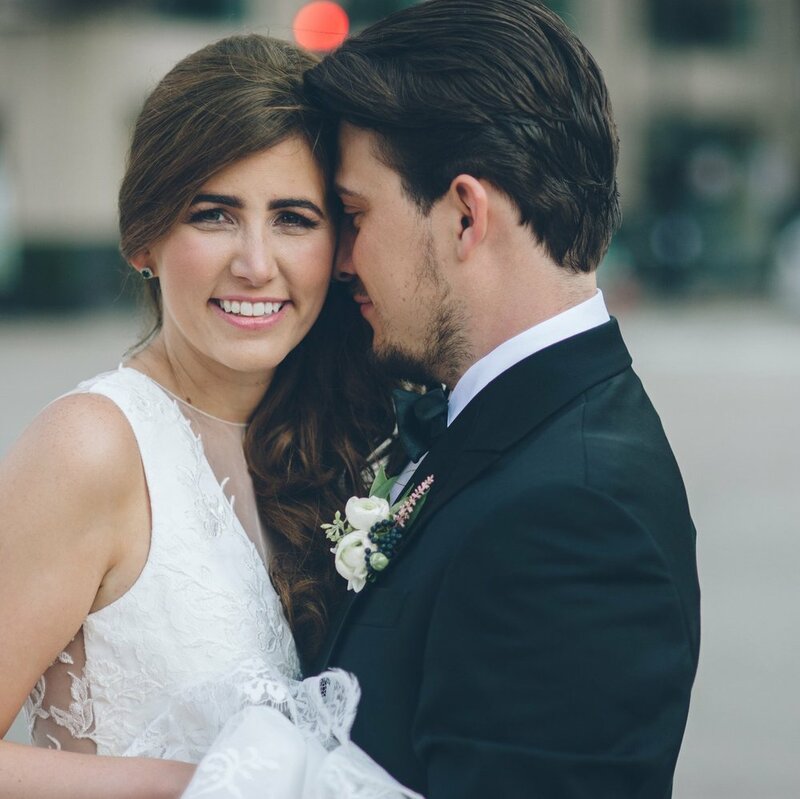 Allison (aka Alli) and Drew are a super sweet couple! Their wedding was hosted at The Farm at Dover (which we love) with the sweetest DIY and seriously delish comfort food. Thier big day was ALL about having a great time, and really embracing the beauty of the venue. Farm at Dover doesn't need much to look fantastic, so Alli's DIY decor was the perfect rustic casual touch. Their ceremony was held outside- Alli decorated their rustic wood arbor arch with white silk florals (you couldn't even tell!). The setting was SO dreamy. Afterwards, everyone gathered in the barn for their reception. From the BBQ to the popcorn, to the smores and cake, the food was a highlight for the guests! Wood platform rounds, mason jars and silk florals accented the tables beautifully. The wide open space was light, airy and perfect for their celebration. It was a Spring dream!